High in the branches of a maple tree sit the tattered remains of a muddy, grassy bird nest. I train my binoculars on the small lump, but it was built the previous year and is very much empty. Closer to eye level, it’s harder to miss the metal spigot and tangle of blue tubing attached to the tree’s trunk like an IV drip. This tree is one of the 6,000 tapped for Cornell University’s signature maple syrup, and last year it also raised a family of birds. Birds and maple syrup share the same critical ingredient: healthy northeastern forests. Every year, millions of birds breed, feed, and fledge in the same forests that are tapped for syrup (called “sugar bushes”). As long as a sugar bush stays tapped, it will remain a forest and not be cleared for development. Since 2014, Audubon Vermont has worked with nearly 40 maple syrup pro­ducers in the Green Mountain State on the Bird-Friendly Maple Project to help sugar bushes meet their full potential for bird habitat. Now the Cornell Lab of Ornithology is partnering with the Cornell Maple Program to sweeten the deal for both birds and the bottom line in the university’s own sugar bush. Aaron Wightman, operations manager at the Arnot Research Sugarbush, oversees a network of taps and tubing that draws sap from more than 6,000 maple trees. Wightman’s goal is to diversify the tree species within the sugar bush to include more than just maples and create a healthier forest. Photo by Jason Koski. Maple-syrup producers exert consider­able control over how the habitat looks in a sugar bush. At the same time, what is good for birds in a forest is also good for maple producers in the long run: the health and sustainability of the crop. Plastic tubing runs throughout the Arnot Research Sugarbush, connecting tapped trees to a sugar shack in a forest on Cornell University land. Cornell’s bird-friendly maple syrup project strives to achieve sustainability for the forest’s birds and its sugaring operation. Photo by Jason Koski. Wightman was interested in helping the birds, but also in helping the forest he manages. The understory of the oldest part of the Arnot sugar bush was thinned de­cades ago and deer have kept the shrub layer from regenerating, explains Wight­man as we walk through the Cornell research forest on a delicately sunlit May morning. Here, slender maples tower over us like an arched cathedral ceiling; tiny beech and hornbeam seedlings pop out of the leaf litter—but there is nothing but empty space between the canopy and forest floor. Ideally, forest managers aim for a diversity of tree species at a diversity of ages, with layers of branches and leaves at the top, middle, and bottom. Without younger generations of trees growing up underneath the canopy layer, the entire forest community faces an abrupt decline when all those oldest-generation trees begin to die. 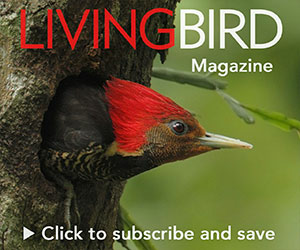 Birds suffer, too, from a lack of diver­sity in sugar-bush habitat. For example, without a conifer component among the maple trees, birds like the Blue-headed Vireo, Blackburnian Warbler, and Sharp-shinned Hawk are missing valuable nesting habitat. Fruiting trees and shrubs in a sugar bush, like black cherry, also provide critical energy sup­plies for birds fueling up for migration. A tap in a maple tree. Photo by Jason Koski. Next to the monoculture in Arnot Forest stands a plot that is a perfect model for bird-friendly management. The bright blue tubing disappears and reappears among the thick understory, winding around a few snags with holes drilled out by woodpeckers. There are more than just maples here; we stop to admire a Black-throated Green Warbler flitting around in a hemlock, and a Scarlet Tanager in an oak tree. Conservation biologist Steve Hagen­buch, who heads up Audubon Vermont’s Bird-Friendly Maple Project, says sugar bushes that contain at least 25 percent nonmaple trees support a greater diver­sity and abundance of birds than stands growing only maples. And he says syrup producers in the Audubon Vermont program are finding that managing a sugar bush for tree diversity is good for sugaring sustainability, too. A University of Vermont study found that sugar bushes with a bird-friendly ratio of tree diversity experienced insect outbreaks that were significantly shorter and less intense than in maple monocultures. Cornell’s Arnot Research Sugarbush is now managing for a forest floor flush with understory vegetation, which produces more food for insect-foraging birds. Photo by Jason Koski. The quaint, colonial scenes on maple syrup bottles are misleading. Maple syrup is big business. By the barrel, syrup costs more than oil. Products like maple-derived alcohol, candies, and even sports drinks have exploded in popularity. New York alone taps over 2 million trees, and its maple products were worth over 30 million dollars last year. That’s how we should grow all our food. But the boom in sugar bushes, as an­other form of farming monoculture, is compounding a tree diversity problem in the Northeast’s forests. Black-throated Green Warbler by David Leonard/Macaulay Library. Scarlet Tanager by David Leonard/Macaulay Library. 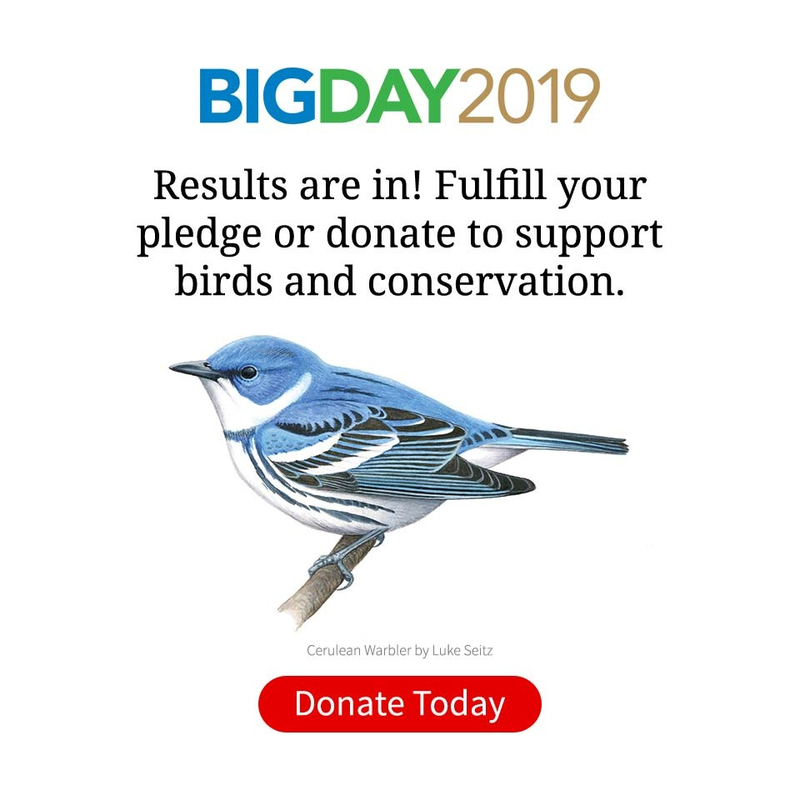 With habitat loss and degradation looming as the greatest threats to birds today, sugar bushes have the potential to offer a big conservation footprint for birds. Learn about bird-friendly food items in 7 Bird-Friendly Foods To Put In Your Pantry. Bird-friendly maple syrup is only one part of how the food production systems of modern society can help address the massive loss of bird habitat. After all, the very same Scarlet Tanagers that spend summer in sugar bushes in New York, Vermont, and Quebec fly to South America for the winter, where they may look for habitat among shade-grown coffee farms in Colombia. Ultimately, Wightman hopes the sugar bush in Arnot Forest will be a model for bird-friendly maple production in New York, and for the international importance of sustainable food production. Alison Haigh is a senior Environmental Science major at Cornell University and freelance writer based in Ithaca, N.Y.